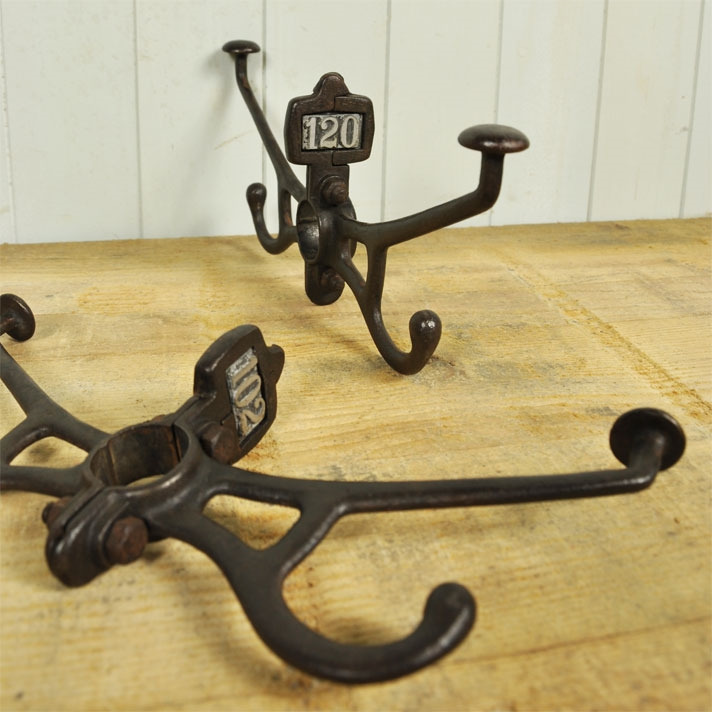 These lovely vintage cast iron hooks would have be made in the 1920's with cast aluminium numbers. These hooks need to run along a pole as pairs. They will not go against a wall. Each single hook measures 17 cm d x 15 h.
When joined together they measure 34 cm end to end. The diameter of the pole they need to be attached to is 33mm.